Reiki is a spiritual practice and hands on healing method introduced by Mikao Usui early last century. There are many English interpretations of the word but the one I favour is sacred universal energy. Reiki can be given in person or by distance healing. It can be used to heal on the physical, mental, emotional and spiritual levels. It can benefit diverse ailments such as stress, pain, anxiety, mental confusion and insomnia. It can also be used to boost the immune system and speed up healing. 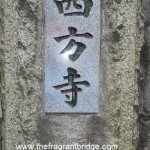 Reiki has 5 precepts or ideals for practitioners to live by or at least aspire to. Just for today I will be kind to others. 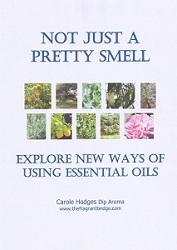 Essential oils also promote healing on the physical, mental, emotional and spiritual levels. They can be used before, during and after the reiki session to bring a deeper level of healing. I prefer to use Japanese oils and have made 2 blends containing them, the Reiki Journey and Mt Kurama Healing Blend. The following 3 Japanese oils should be easy to obtain. Hakka ((Mentha arvensis) is Japanese peppermint. She is used to help during a spiritual crisis by reconnecting you to your purpose and clearing away the confusion. She also has the ability on an energetic level to help you digest and assimilate new thoughts and beliefs. Hinoki (Chamaecyparis obtuse) has been used in Japan for building temples and shrines for centuries. She is a very relaxing oil helping to ground you and not be overwhelmed by stressful situations. Hinoki can also be used to purify your aura. Yuzu (Citrus junos) is very uplifting and helpful for anxiety, depression and nervousness bringing peace of mind and serenity. She can also help those who are reluctant to ask for help when needed. 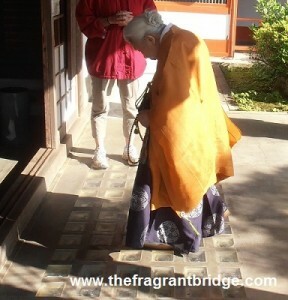 If you cannot get the above Japanese oils the following easily obtained essential oils would also work well. Frankincense (Boswellia carterii) cleanses the aura, ceases mental chatter and gives access to your inner guidance by stilling your mind. Lavender (Lavendula angustifolia) brings a sense of relaxation and nurturing. She also helps to forgive yourself and others. Juniper (Juniperus communis) is good for cleansing the room before and after a session. Sandalwood (Santalum album) helps you accept others with an open heart, warmth and understanding. Rose (Rosa damascena) brings a sense of comfort when you have grown emotionally cold due to rejection, loss, hurt or abuse. She allows you to trust and love again. As well as helping with the pain of grief she can also help you to forgive others when they have hurt you. Rose helps you to both give and receive love unconditionally. 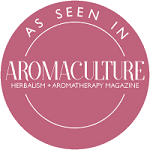 Diffuser –You can create a blend using 2 or 3 oils and placing 4 drops of the blend in the diffuser before the session to induce a feeling of relaxation, during the session to relax and bring a feeling of safety and nurturing or after to energetically cleanse the room. Spray Mist – Place 10 drops of your blend in a 100ml spray bottle filled with distilled water. Shake and spray in the room before commencing the session or at the end of the session spray over the client’s body making sure their eyes are closed. Tissue – Put a drop of your blend on a tissue and place it beside the pillow or your client’s head. Hands – Place a drop or two of your blend in the palm of your hand, rub your hands together, have your client inhale the aroma then commence giving reiki. Apply a little to your palms and brush through your client’s aura to cleanse it. Apply to any area of their body that you intuitively feel needs it. 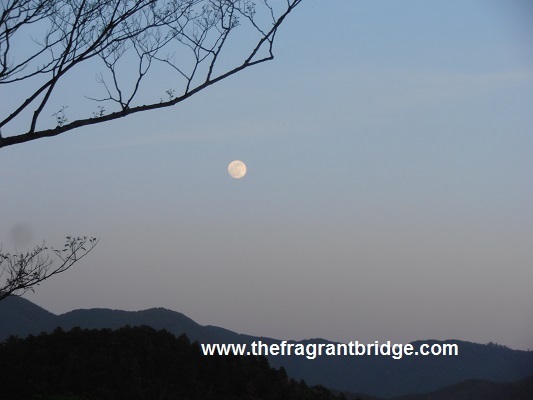 In distant sessions place a drop or two of your blend in your palms with the intention that the blend will create a fragrant bridge between you and your client. Breathe in the blend while meditating. 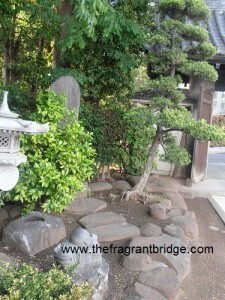 Breathe in while reciting and thinking about the 5 reiki precepts or ideals. Once your blend is made instead of shaking the bottle to blend the oils together you can draw the symbols with the bottle while having the intention that the blend will absorb those symbols. You may also like to chant the reiki precepts at the same time again with the intention that these will enter the blend. You will then have a very powerful blend to use on yourself or your client during your reiki sessions. 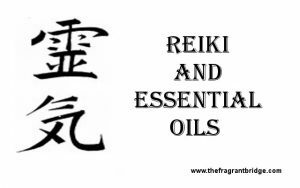 Reiki and aromatherapy are both powerful therapies on their own but when combined produce a deeper healing within your client or yourself. If you would prefer to purchase my Reiki Journey Blend or Mt Kurama Healing Blend rather than make your own please click on the link. Please note these oils are already blended in fractionated coconut oil and so are not suitable for diffusing. 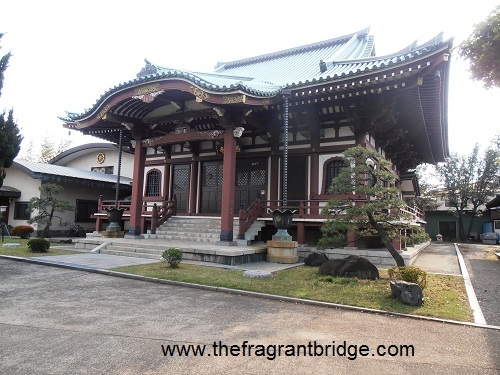 This entry was posted in Reiki and tagged hakka, hinoki, Mt Kurama Healing blend, precepts, reiki, Reiki Journey blend on May 21, 2015 by Carole Hodges. 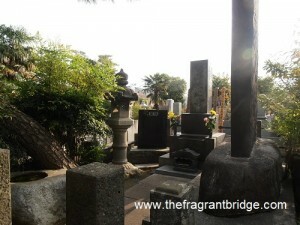 Many reiki practitioners when they go to Tokyo like to visit Saihoji where Usui’s memorial is located. 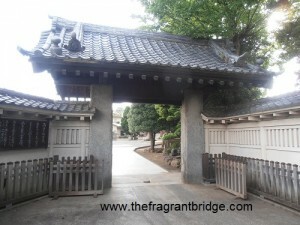 It is a small suburban temple that is not marked by name on the map. When I went there 2 years ago I had to ask a policeman who didn’t know where it was. 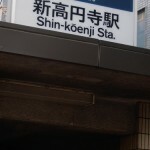 He rang his station and asked me to go there. When I walked the couple of metres to the station a policeman was waiting for me. 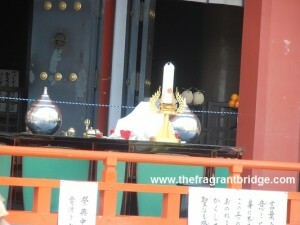 He took me to the main intersection and showed me the street leading to the temple it was then easy to find. 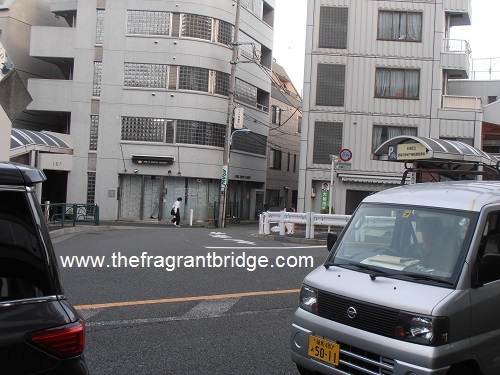 I have written the following directions illustrated with photos so that anyone who wishes will be able to find Saihoji easily. 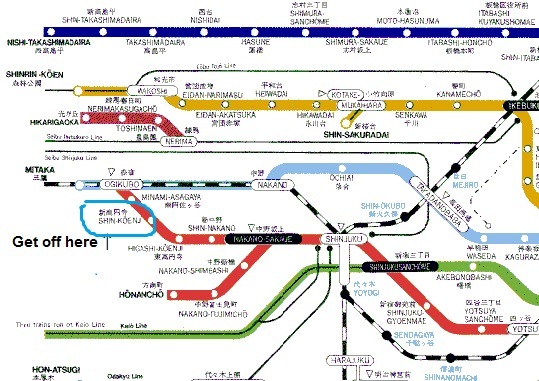 Take the Marunouchi subway line (marked in red on subway maps) and get off at Shin-Kõenji station. 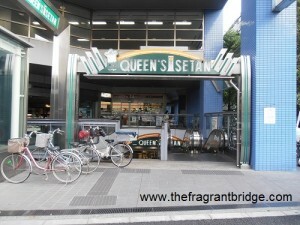 Take the south exit stairs up to the street. Turn right and cross the small street. You will see Queen’s Isetan on your right. Be aware that there is also another exit on the opposite side of the street. 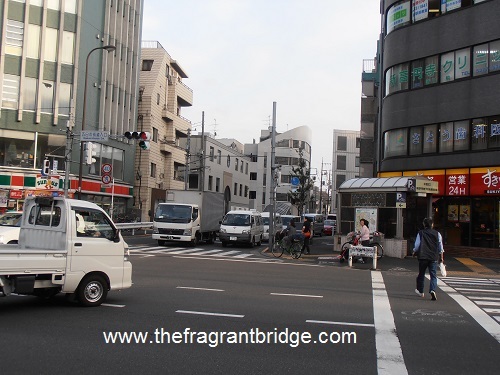 If you come out on the wrong side you can continue along the street and cross the road at the main intersection mentioned below. 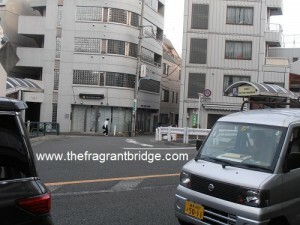 Continue along the street until you come to a big intersection. There will be a restaurant called Sukiya to your right. You should see a convenience store called Sunkus on the other side. 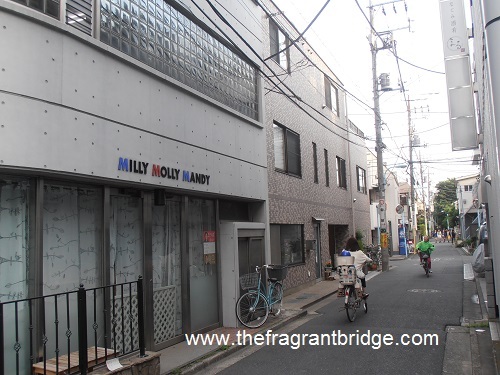 You will know you have taken the right street if you see a building near the entrance with the words Milly, Molly, Mandy written on it. 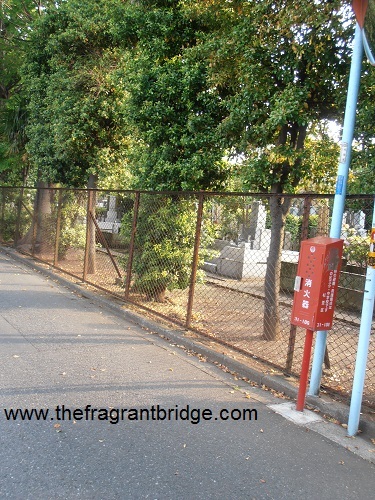 Continue down this street and you will soon see a wire fence enclosing the temple grounds. Continue on until you reach the entrance. Go inside. Once inside follow the path past the garden, bell and Kannon statue. 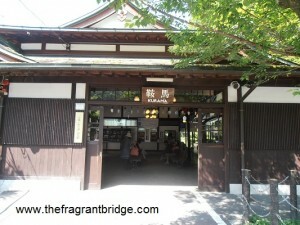 As you walk along you will pass a small building containing wooden pails. 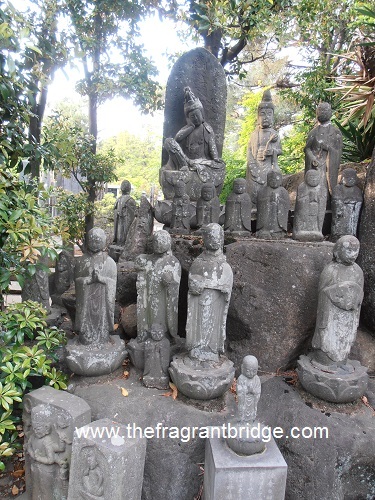 Take the path to the left behind the statues. 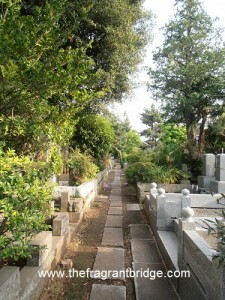 Turn right at the 2nd path and continue along this path until you reach the gravesite and the memorial stone. This entry was posted in Reiki and tagged address of Saihoji, directions to Saihoji, directions to Usui's gravesite and memorial stone, Saihoji on May 14, 2015 by Carole Hodges. 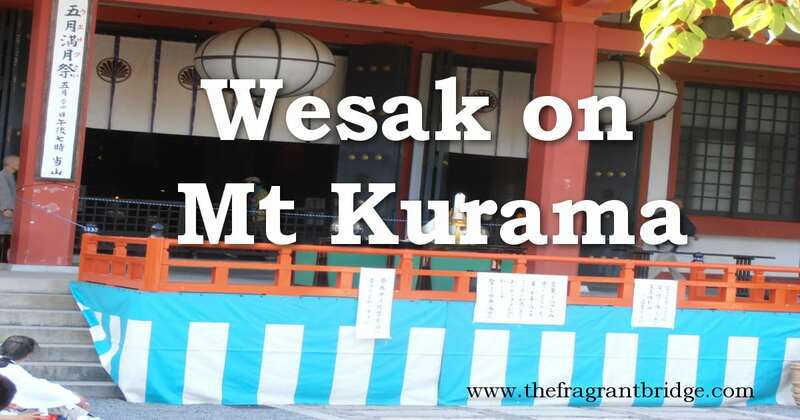 Wesak a ceremony of light, water and sound is celebrated on Mt Kurama in Japan on May 3rd this year. 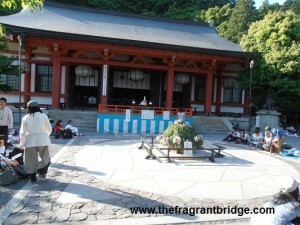 The ceremony was divided into 3 parts. The first part began with a prayer of purification (Kiyome) where people chanted praise for the deity Mao-san in order to cleanse themselves and the site. 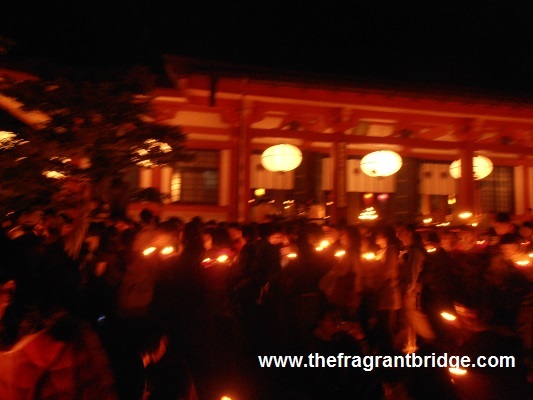 The area was bathed in moonlight and the sound of so many people chanting praise under the full moon was magical. Each person had their own little candle. One of the crowd lit their light from a monk’s candle and then lit another’s who then lit others and so on until all the candles were lit. 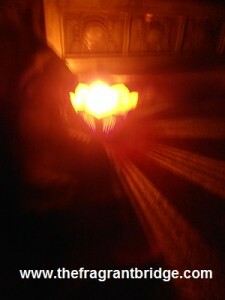 This light represented the eternal strong power of the soul. After the chanting was finished we lined up to enter the temple to receive a tiny cup of water and accept the blessing of pure love into our hearts. Many people left after the first part so they could catch the last cable car down the mountain. Once everyone in the very long line had accepted and drank the water the second part Encouragement (Hagemi) began. This was a silent meditation led by the abbesses, a tiny woman. 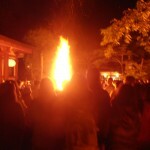 The final part was the Awakening (Mezane) when a huge bonfire was lit in front of the temple. 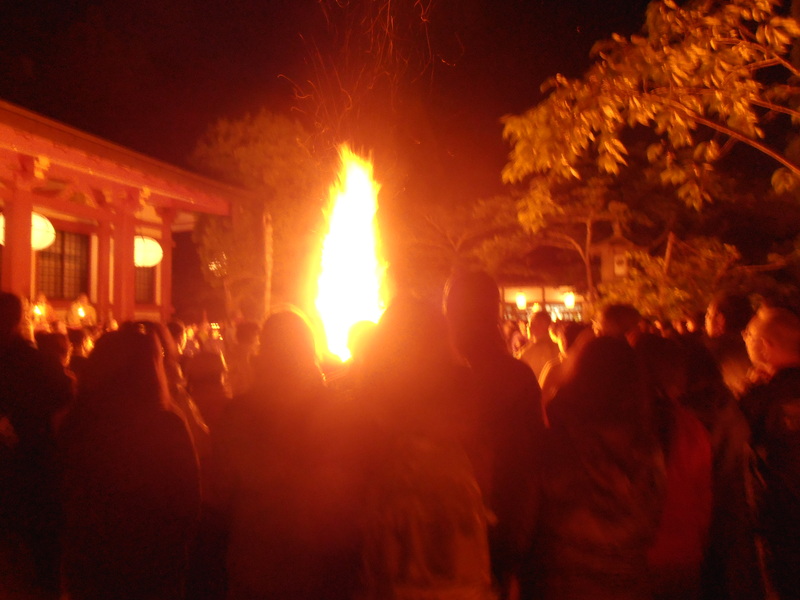 The fire symbolised the awakening to an authentic life shining with the light of wisdom. The ashes were still very hot and radiating heat early the next morning. 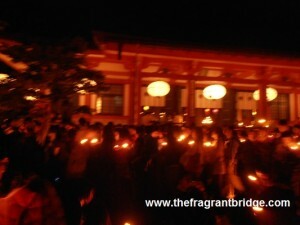 The evening finished with chanting to welcome the newly illuminated soul. 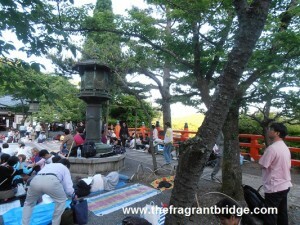 Once the ceremony finished I took a little time to add another layer to my Mt Kurama blend. I also added a final layer to the blend the following morning and collected the chrysanthemum stones I had left buried in the earth overnight. 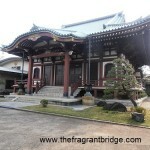 I attempted to sleep that night in one of the large temple rooms on the floor. Indoors it was still very cold especially as there was only one heater in the room but I was lucky as many people had to sleep outdoors on the mountain that night. Many of the Japanese were up at first light next morning so they could catch the first cable car home. This was an evening I will never forget. 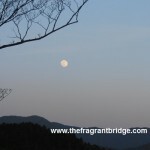 To spend the night on the mountain associated with reiki and during such a sacred time was a rare privilege indeed. This entry was posted in Reiki and tagged Mt Kurama, Mt Kurama Healing blend, Wesak on May 3, 2015 by Carole Hodges.